Kosovo continues to face mounting pressure by the international community about the decision that it introduced in November last year to impose a 100% tax hike on goods coming from Serbia. 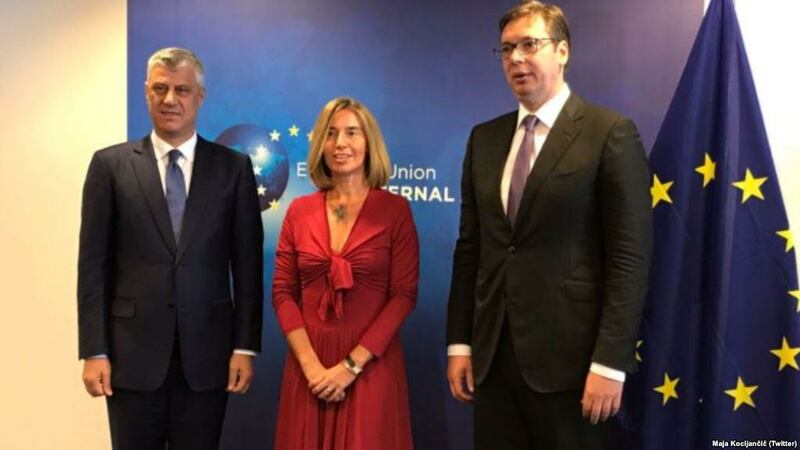 Representatives from the Kosovo negotiating team in the talks with Serbia say that it’s unlikely that the two countries reach an agreement soon, while they supported the idea of keeping the tax on Serb goods in force. The head of the negotiating team, Shpend Ahmeti said in a news conference that the tax will continue to remain in force. “For the time being, this tax will remain in force. However, the decision is taken by the Prime Minister of Kosovo”, Ahmeti said. The Prime Minister’s advisor, Avni Arifi has been more flexible in his position. According to him, the tax could be scrapped temporarily until dialogue with Serbia is held. “If we decide to hold talks during a particular period of time, then we may scrap the tax for that given period”, he said. Serbia’s Foreign minister, Ivica Dacic believes that Kosovo will scrap the tax, because this could have serious repercussions in the relations of this country with the US. The Serbian diplomat has reiterated the fact that dialogue will not continue unless economic barriers are lifted. In his participation in the World Economic Forum taking place in Davos, Switzerland, Kosovo’s president, Hashim Thaci said that another meeting between Kosovo and Serbia concerning the process of dialogue may continue in the weeks to come.